OK so i have be doing some threads for different systems asking you to look into your gaming past and throw up a few underappreciated games.. This one is for the C64. Now i no longer own a C64, (i know, i sold it and have regretted it ever since) but even when i did i never owned many games but it seems to me that Alleykat barely gets a mention in the so called top 10 or 100 lists. Funny because the Atari 8-bit version is consistently talked about as one of the system's best games and is currently in the A8 top 10 (as voted by users) on Atari Mania. I played the A8 version recently and it's good fun but far from the best game out there so not really that sure what all the fuss is about. Yeah i guess it shows what an awesome games catalogue the C64 had. Agree! 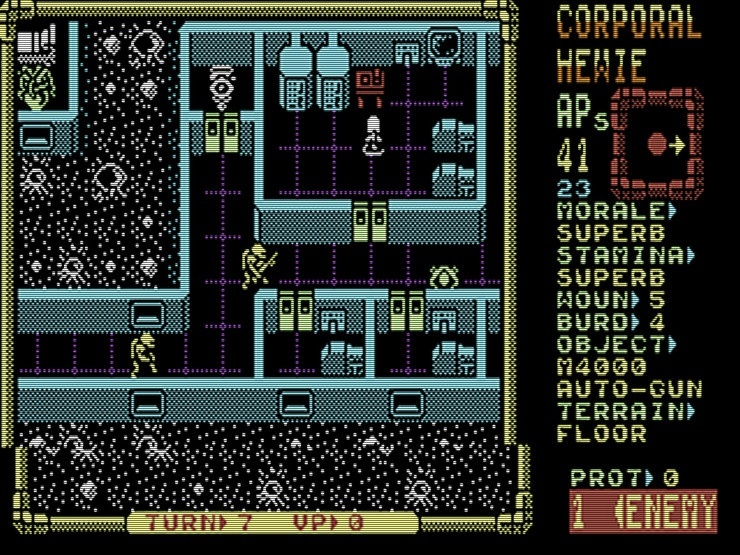 The C64 library was immense and many great titles. I still stumble across games that were missed back in the day. Thanks for the heads-up on Alleykat! So this is Turbo Charge, from System 3. It plays a lot like Chase HQ, only you've got a passenger with a gun. I haven't played many of the games in the Chase HQ series, so I don't know if any of them had any shooting in them. It's a pretty good Outrun-style racing game, as I like to call the sort where you've got nobody to race, just trying to get to the end before time runs out. It's got some really nice graphics, especially with the hills and curves, and the difficulty's actually pretty reasonable. Screwing up always feels like your fault, even if it is way too easy to miss the fuel you need to not die. I'd recommend the tape version just a LITTLE more over the disk version, because the tape version gives you multiple continues. So this is Turbo Charge, from System 3. It plays a lot like Chase HQ, only you've got a passenger with a gun. So its basically Chase HQ 2: Special Criminal Investigation (otherwise known as S.C.I.) then? Oh, is that what it is? OK, then... I never could keep up with that series. Still, from what I hear, I imagine it's actually a better version than the actual port. At least, that's what I'm assuming, since they prefer the Spectrum version... hang on, though, I got another. This is Law of the West. It's mostly impressive for, as far as I know, being the first game to have actual dialogue trees, like what you'd see in a Lucasarts game. It's pretty unique, in that the focus is on talking to people and trying to find the best solution to things. You don't want to shoot everybody, although the game will certainly let you. Sometimes you can talk your way out of things, (Although the game would prefer you 'maintain your authority', which means don't be a wuss) and sometimes you have to shoot people in the face before they do the same to you. The biggest problem is that the game has no real ending besides the final score screen, so you don't really get to see what happens when you promise to go to the dance with three different women. Two more games to try. Thanks, Bob! Great stuff Bob, i have never seen Law of the West before so i will check that one out.. I never played this version but spent a lot of time on Rambo. Watching Ikari Warriors makes me want to drag my C64 out and play Airborne Ranger. Another cracking title that gets overlooked. 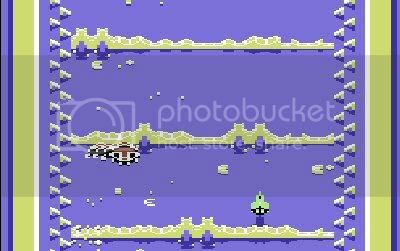 Cosmic Tunnel is a great little early game on the C64 by Datamost. Never heard of Cosmic Tunnel, one I will have to checkout. Any love for Laser Squad..